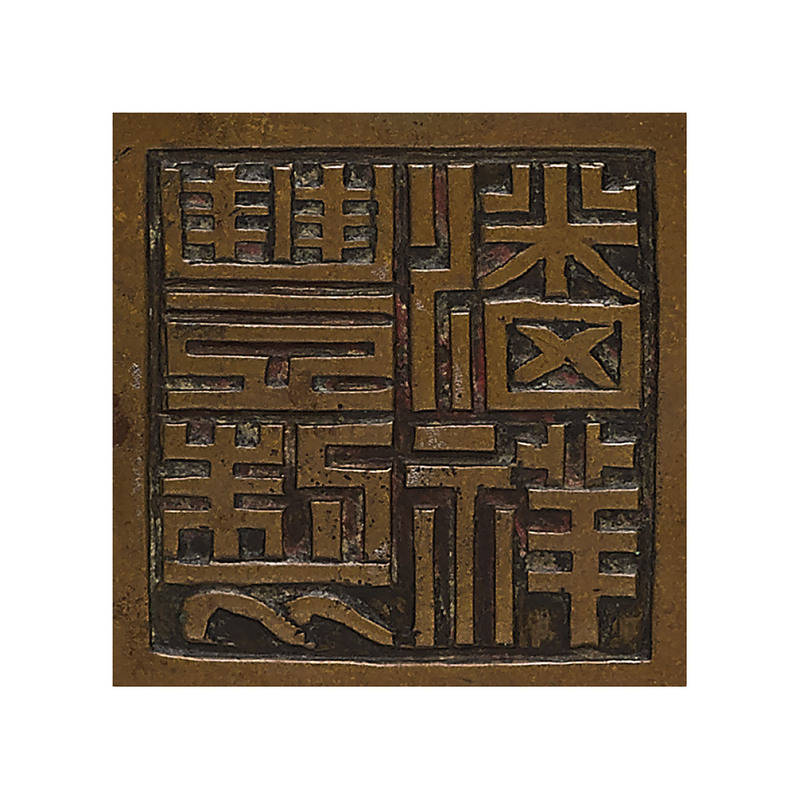 One is cast with a rounded square body and a swing handle, the base is cast with a seal mark, Pan Xiangfeng zhi, 'Made by Pan Xianfeng'. The other is of lobed form with a sunken base. Both covers are pierced with a geometric pattern.